Kitchen Doors / Drawers Fronts Fitted. Floors Laminated & Hardwood Installed. Doors, Door Frames, Architraves & Locks Fitted. Garage Doors / Frames Fitted. Tongue & Grooved Flooring Repaired & Replaced. 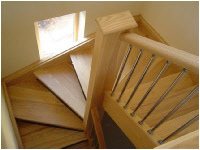 Staircases, Spindles, Handrails & Newels Repaired & Replaced. locks, Handles, Letter Boxes/Plate & Hinges, Replaced. Fencing / Decking, Installed or Repaired. Timber Fascia / Soffit / Barge Boards Repaired or Renewed. 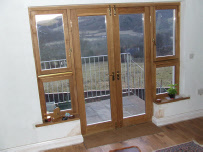 High Class Carpentry and Joinery enhances any building.